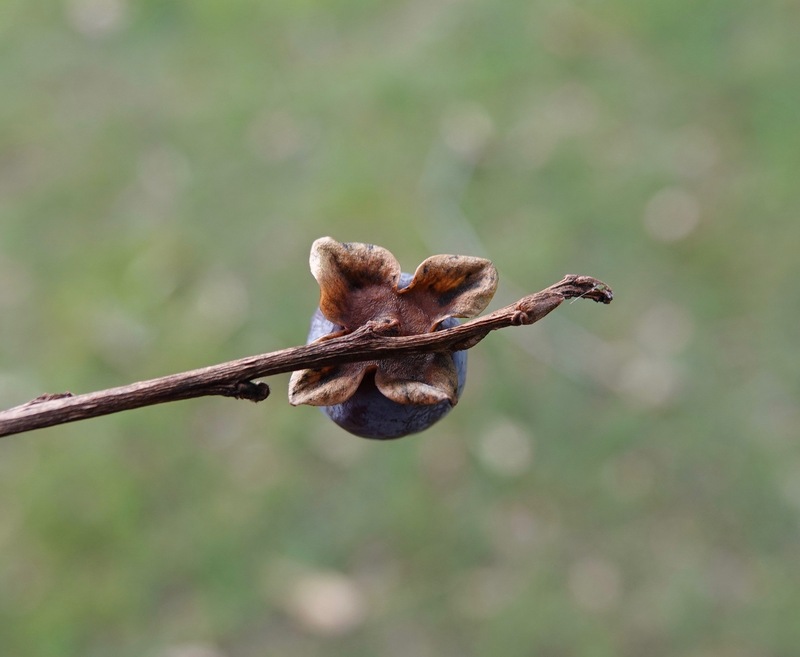 Diospyros lotus is in the ebony family of plants. 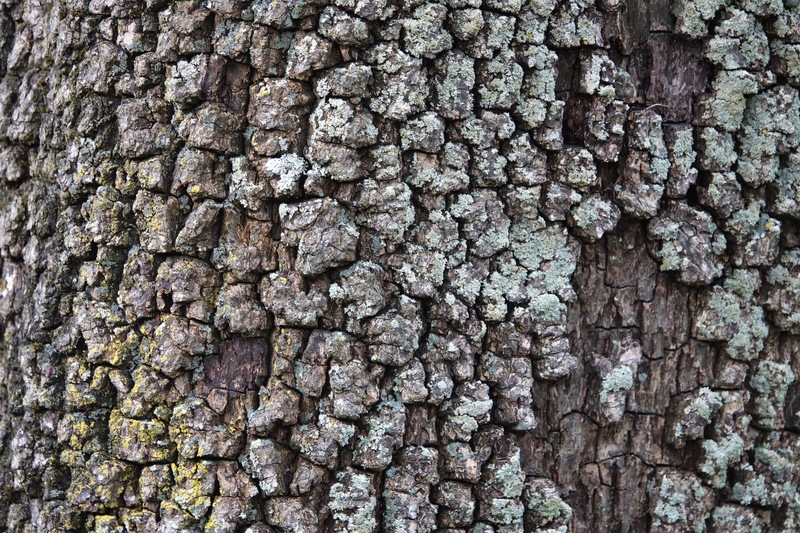 The bark is very similar to its genus mate, Diospyros virginiana, the American persimmon. As are the calyces. The subject of today’s post is the date plum or Caucasian persimmon, which is native to a swath of territory from Spain to southwest Asia. Diospyros, the genus name, is Greek for god’s fruit. The trees are singing. If only we would listen. Tolkien suggested it might be quite hard to hear them, since they sing on a whole different time scale. David George Haskell is listening with microphones and an acute biologist’s senses. 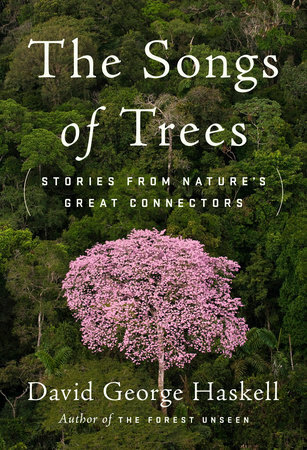 The Songs of Trees was one of last year’s best naturalist books, beautifully written and globe-spanning in reach. If you missed it, go get it. The fig is absolutely remarkable. Of course, there isn’t just one fig; the Ficus genus has 750 plus members, from the house plant standard to the edible fig to the strangler species which dominate tropical forests. Each one of these species has at least one tiny fig wasp species that specializes in pollinating the “fruits” — which actually aren’t fruits but rather collections of inward growing flowers — in what are essentially suicide missions. 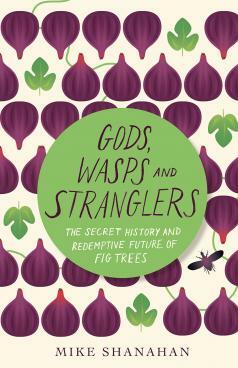 I’ve written about figs before. Mike Shanahan has written a short, engaging book on the genus, and the vital role figs play in vast life webs around the world. Go exploring Ficus with Shanahan from the bodhi tree to Wallace to the Rhinoceros Hornbill to the Mau Mau rebellion, with a dozen or so creation myths thrown in. 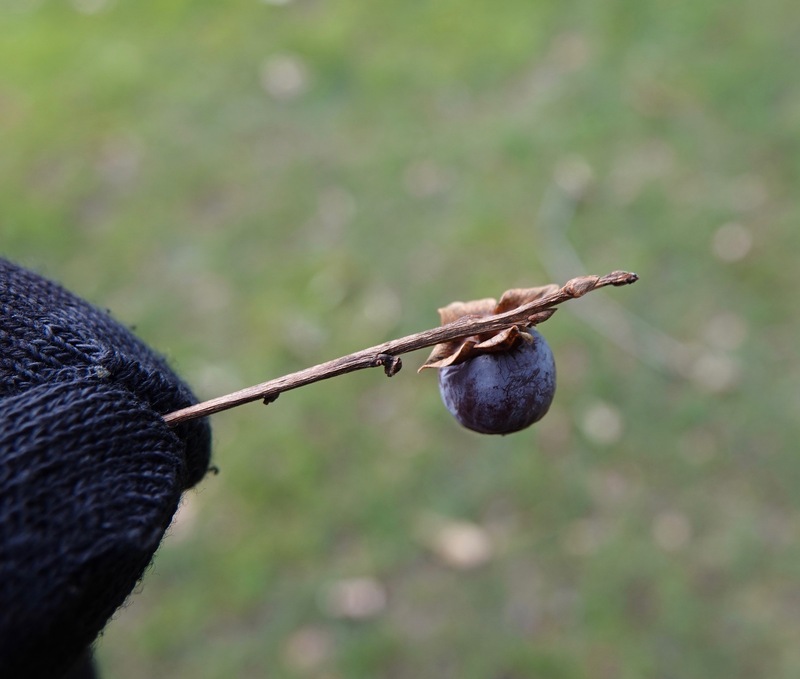 Was the fig the forbidden fruit of Eden? It sure is sexier than the apple, which definitely wasn’t the verboten fruit. Shanahan notes that a 100 meter by 100 meter piece of old growth rainforest in Borneo (what’s left of it, anyway) can harbor 600 tree species. In Britain, by contrast, there are 36 native tree species. There, in 1664, John Evelyn’s Sylva was published by the Royal Society. This famed work, one of the first English language books about the cultivation of trees, was inspired by the Royal Navy’s worries about the shortage of timber for its boats. An example: the Mary Rose, launched in 1511, required 1,200 trees, mostly oaks but some elms as well; later and larger ships gobbled up 2,000 oaks each. The white pines of North America were a major draw for the journey across the Atlantic. 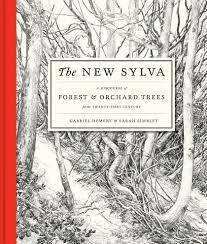 Now comes The New Sylva by Gabriel Hemery and Sarah Simblet to update things. There are certainly more than 36 tree species in Britain today. Actually, Hemery and Simblet say there are 60 native species, subspecies, or hybrids in Britain. They note that the native cut-off (1492 for us) stretches back circa 8,200 years for Britain, to when the land connection to continental Europe was submerged by the rising ocean. American readers, meanwhile, will recognize quite a few of the species in the transatlantic botanical exchange, species we gave them/species they gave us. Note that this book is primarily about silviculture, or timber-hunger, not the complex ecosystems known as forests, but then the un-human touched woodlands is non-existent today. Which reminds me: shouldn’t we date the Anthropocene back to the killing of Huwawa/Humbaba, the guardian of the sacred cedars, by Gilgamesh? Simblet’s black and white drawings, from microscopic to landscape in detail, are wonderful. This book certainly works on a coffee table. Off the subject, but Mike Wallace’s Greater Gotham, which I’m still reading, is majestic. It covers just two decades of NYC’s history, but these were the years the city became a world capital of capitalism. More than a century later, we still live there. And the new edition of Mary Shelley’s Frankenstein “Annotated for Scientists, Engineers, and Creators of All Kinds” turns out to be quite a course in ethics.